A Louisiana man facing life behind bars said he’s “not sorry” for murdering the man who molested his girlfriend. 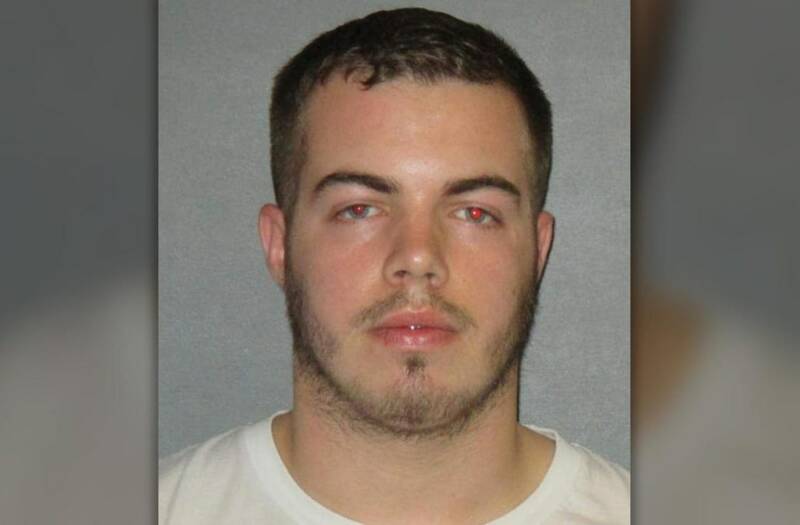 Jace Crehan, 23, admitted to killing Robert Noce Jr. in July 2015 — less than two weeks after the 47-year-old pleaded no contest to a charge of sexually molesting Brittany Monk while he was dating her mother, The Advocate reported. A jury on Thursday found Crehan guilty on charges of second-degree murder. Monk testified she and her boyfriend only meant to scare Noce when they broke into his trailer in the early hours of the morning, but the situation quickly escalated. Monk, who was seven months pregnant at the time, admitted to spraying cologne in Noce’s face while screaming “You ruined my life.” She also testified Crehan ordered her to get a knife — she got the “biggest” one she could find — which he used to repeatedly stab Noce, according to WAFB. Crehan also reportedly wrapped a belt around the convicted molester's neck and used his foot to tighten in it. The pair discarded the body in a 55-gallon container Noce used to make wine and tossed the knife in a lake. A few days after the murder, Crehan admitted to detectives that he killed Noce because he believed the justice system “failed” his girlfriend. Crehan’s attorney unsuccessfully argued the murder was an “act of passion,” while prosecutors meanwhile described the man’s actions as “vigilante” justice. “We do not live in a country where we as a society are allowed to take the law into our own hands and do justice,” Darwin Miller said during closing arguments Thursday. Monk, who pleaded guilty to manslaughter earlier this year, is slated to be sentenced in January. She faces up to 40 years behind bars.